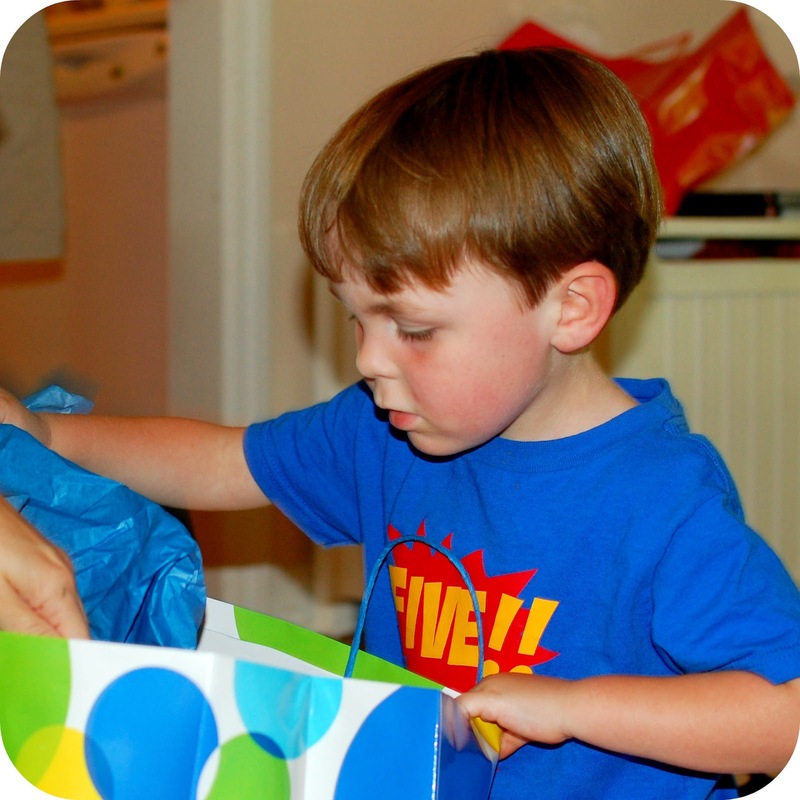 Luke had a super hero birthday party to celebrate his fifth birthday. I ordered this cute tee shirt from a seller on Etsy to keep with the theme (no longer available from that seller). 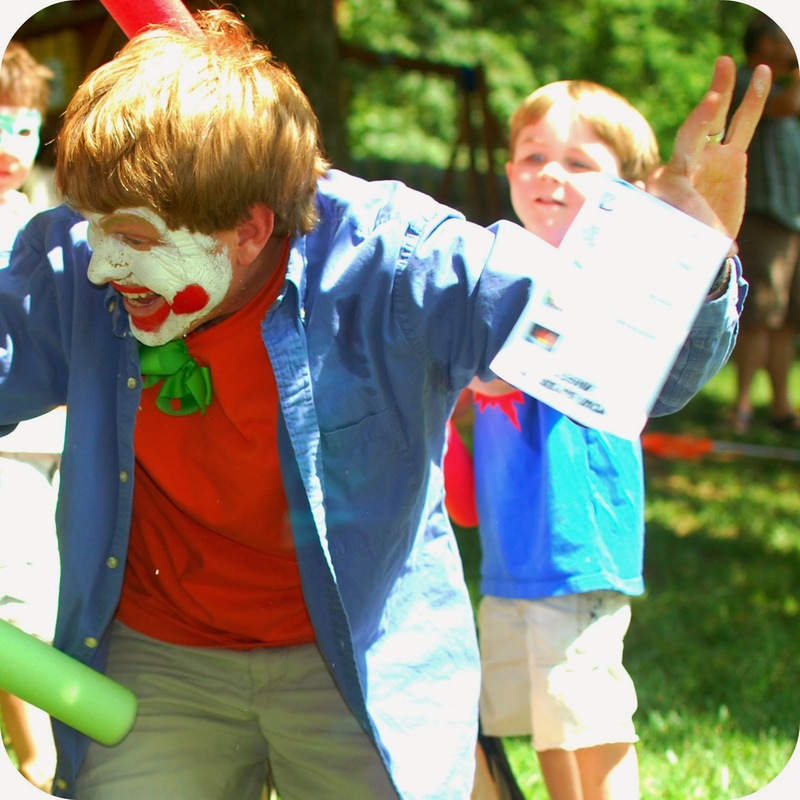 Many of Luke's friends wore their favorite superhero costume. 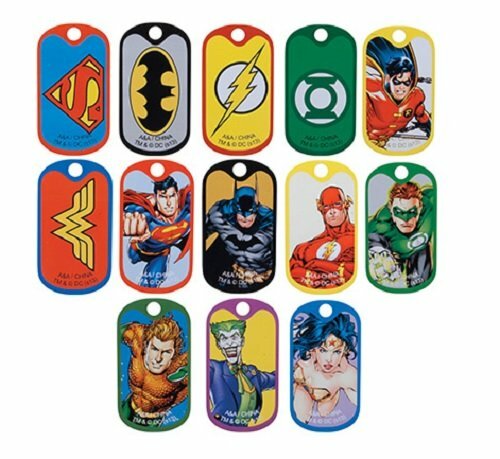 The wording for the invitation was: "Hero Up and Get Here in a Flash. 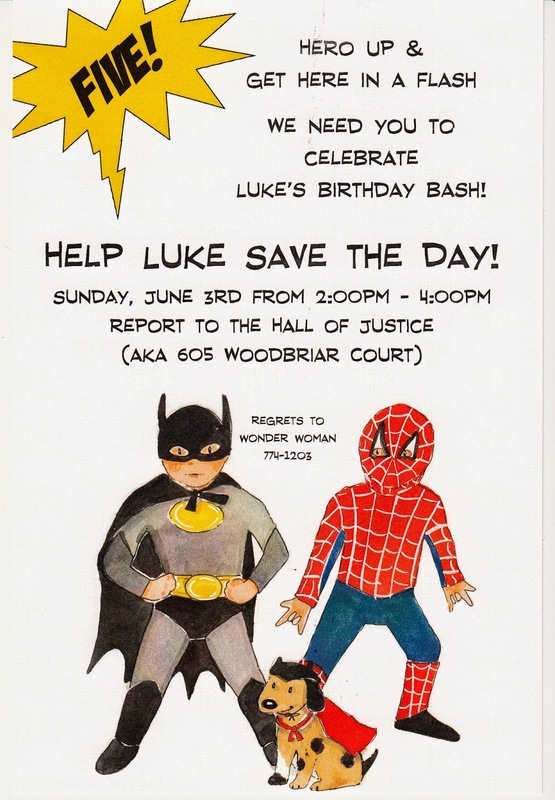 We need you to celebrate Luke's Birthday Bash. Help Luke Save the Day!" The super cute invitations are available by emailing us through our store. 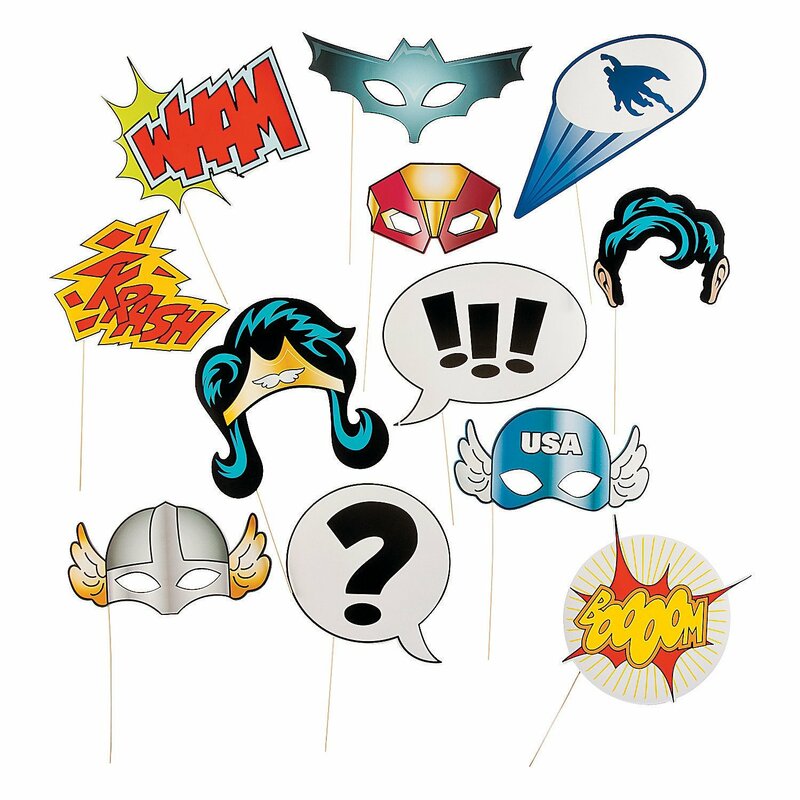 The party began with everyone decorating their own cardboard mask as they arrived (. Once everyone arrived we began our "super" quest to save the day. 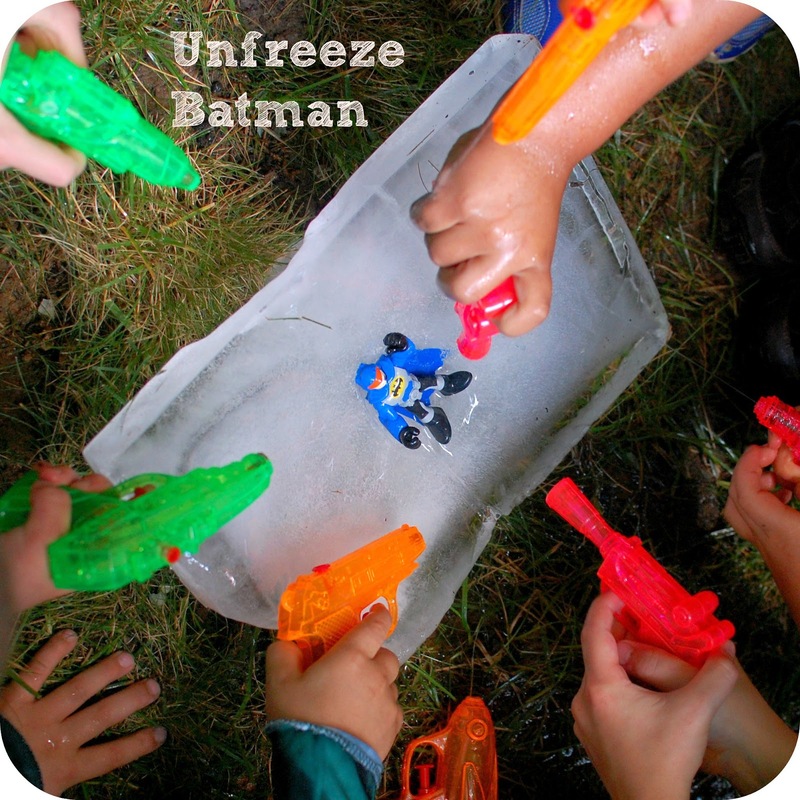 The different stations included crossing a lava pit (wooden board with tissue paper underneath), unfreezing Batman (frozen action figures unfrozen with a squirt gun), getting through the spider web (yarn strung between some trees and our neighbor's fence), and battling Joker (Dad dressed up - what a great sport!). 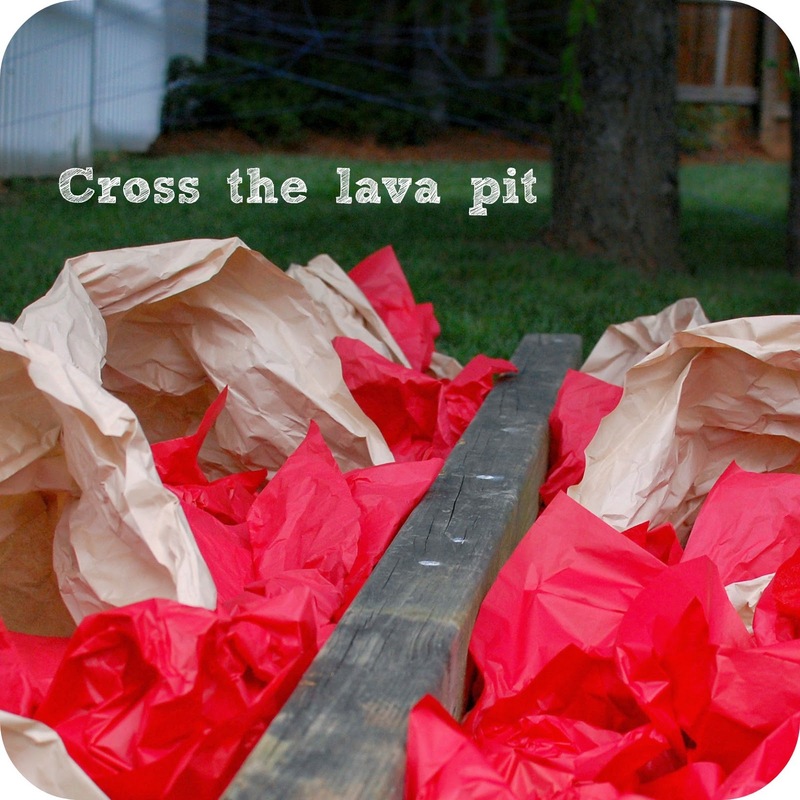 All of the stations are pictured below and were very easy to make. The kids loved them! Because there were so many younger kids there I used a picture for each station instead of words and each child had a card with all of the stations on it. Their mission was complete when they had a check mark for each station. That made crowd control a little easier at each station. 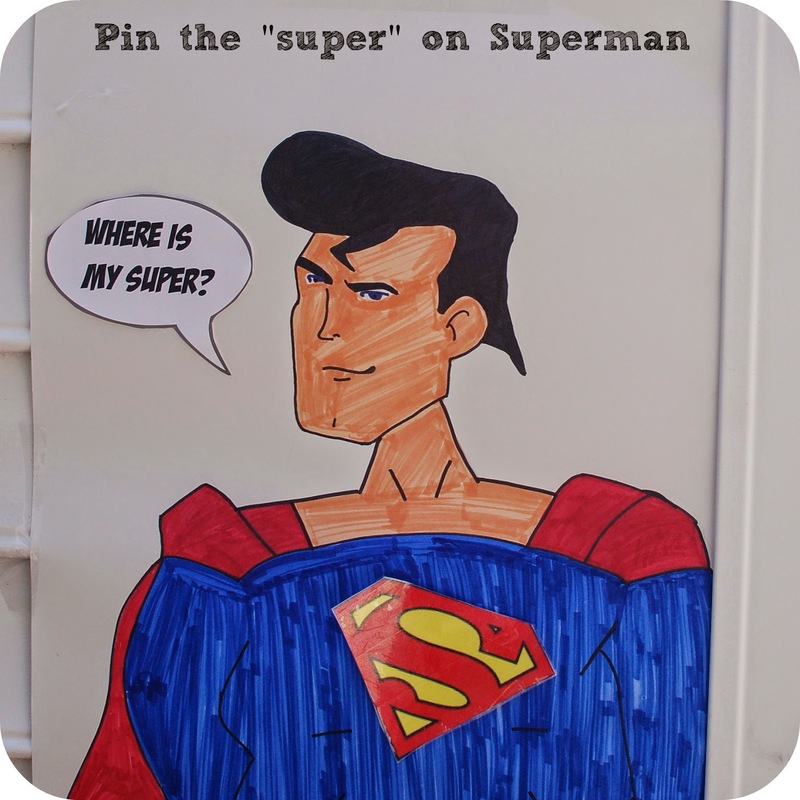 We also had a pin the "super" on Superman game. The game posterboard is still a great decoration in his room! 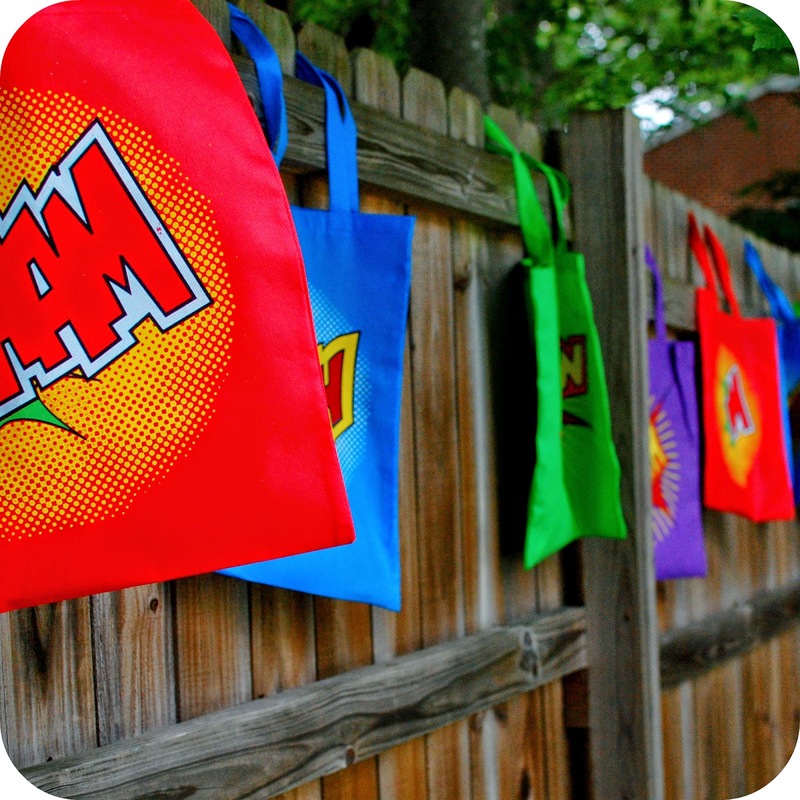 We ordered some colorful bags with superhero flair from Amazon (LARGE SUPER HERO TOTES (1 DOZEN) - BULK ) to use as treat bags. 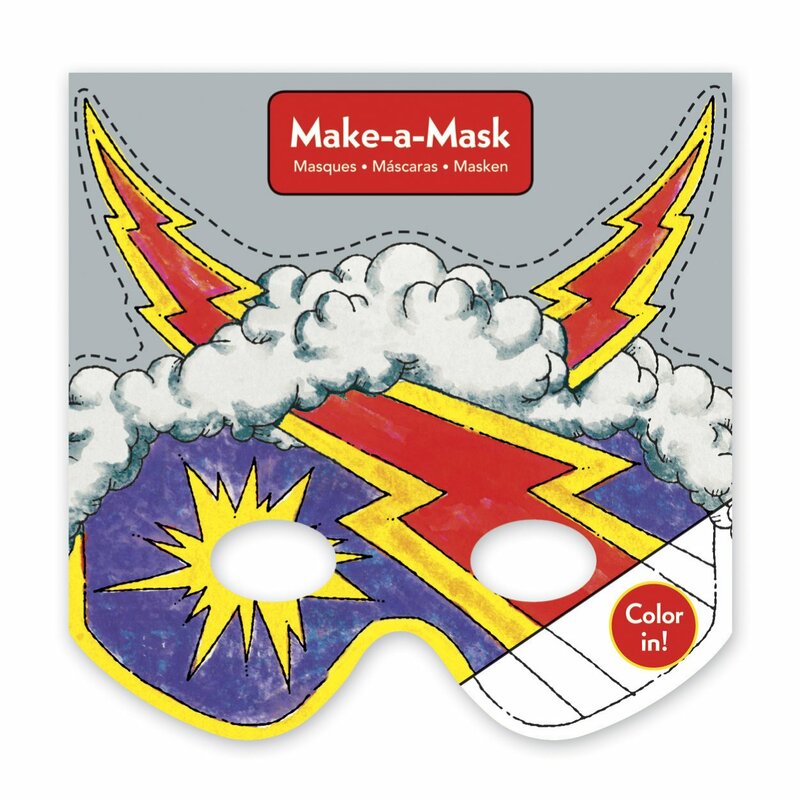 We have lots of super hero party inspiration on our Pinterest board. Follow us for delightful ideas! 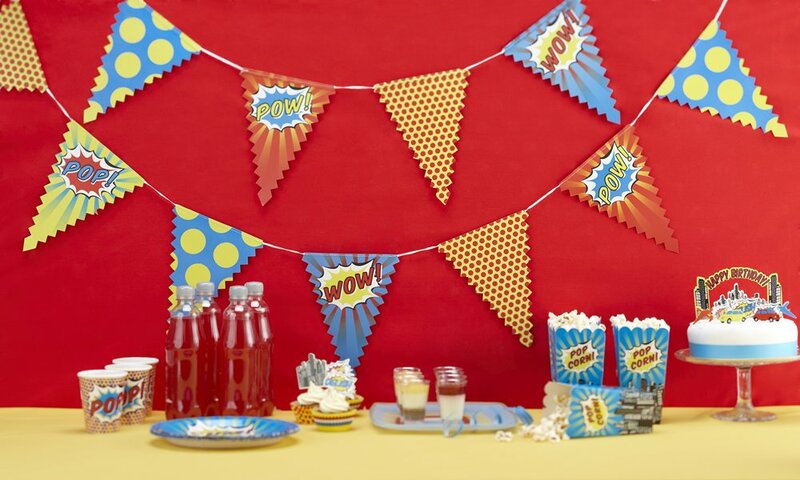 Follow Sassafras Paper's board super hero party on Pinterest. 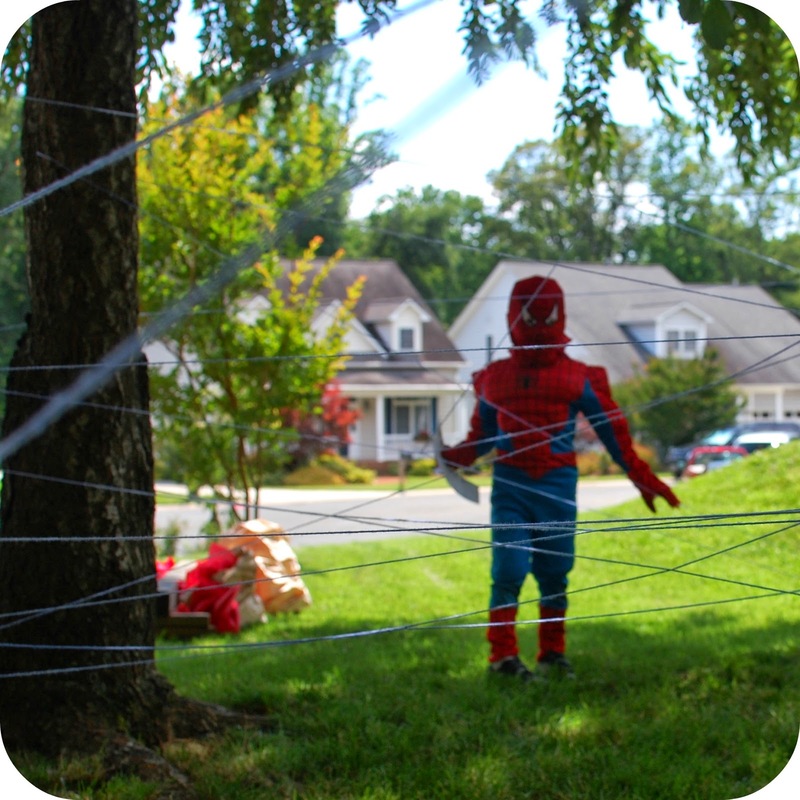 See more super hero ideas on our blog here.